Take a more natural approach to medicine. A lot of people come to see me for naturopathy when medicine has failed them. Often, people can anticipate their regular doctor’s advice, even before they visit with their particular health issues. These days, an increasing number of patients come to me as a first port of call. 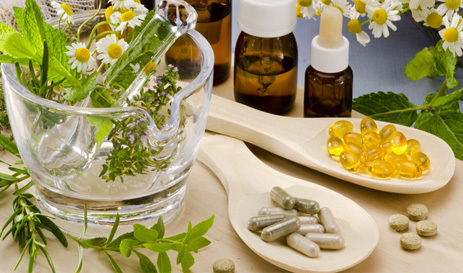 In my clinic, we use nature--herbs, vitamins, minerals, nutrition, exercise, stress management, homeopathy, and flower essences--to relieve people's suffering. This is the foundation of naturopathy. The mind and body are interconnected, so I use naturopathy as an adjunct modality in order to support patients at a biochemical level, and in turn, at a mental and emotional level. Naturopathy also includes body work. This is where we work on the biomechanical dimension of the body. In Thomas Edison’s immortal words, "The doctor of the future will give no medication, but will interest his patients in the care of the human frame, diet and in the cause and prevention of disease." A staunch believer in the power of nature. I have been a naturopath for over fifteen years.